This exhibition presents famous products bearing the label “Made in Czechoslovakia”. 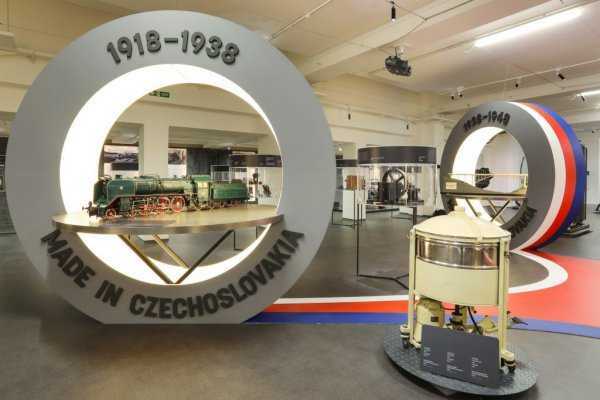 For the 100th anniversary of the foundation of the Czechoslovak Republic, this exhibition has been prepared to remind famous products that Czechoslovak companies were producing from 1918 to 1992. Famous personalities are also presented, without whose genius, the products would never have been produced. You can see 130 exhibits mainly from the collections of the museum. In addition to three-dimensional exhibits – products, prototypes, and models – visitors can also feel the atmosphere of the period the product was produced, thanks to examples from advertising materials that were used. An interactive portion of the exposition is prepared for more curious visitors and children. In the playroom, children can play with toys that their parents enjoyed when they were kids. The goal of the exhibition is to present this topic with all that is connected to and represents the circumstances of the period. The exposition itself is meant to be an open space. Every exhibit is unique and can present itself and the period it belongs to, but connected together they are communicate 100 great years of ingenuity in technical and design skills.